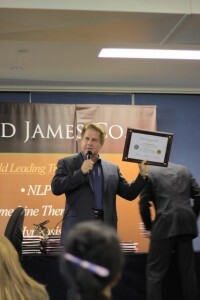 Personal Growth Coaching - NLP Training - The Tad James Co.
Home » Personal Growth Coaching - NLP Training - The Tad James Co. Develop and improve the knowledge and skills you need to achieve your professional goals. Let the Tad James Co. teach you the most advanced personal growth coaching strategies for success and achievement. Personal growth coaching has become The New Field. Every successful businessperson is looking for a coach. As part of our coaching program, you not only learn the best tools but also get the assistance of highly trained professional coaches. So, why personal growth coaching? Why NLP? Our personal growth coaches use a combination of techniques from Neuro Linguistic Programming (NLP), Time Line Therapy® and Hypnosis tailored to your needs. These are techniques for mind, body and spirit. You will find our tools applicable in business for sales, management, communication and coaching, as well as teaching, sports, therapy, and personal growth. They work and produce tangible results. Many other systems are good at discovering problems but do not give you tools for fast and painless change. Unlike the others, the tool we use for personal growth coaching are by far the best and the most effective. Our purpose is to make them available to help you improve your health, relationships, career and life. Tad & Adriana are available personally. To inquire about their availability and reserve a personal growth coaching session, email them at AU bogdan@nlpcoaching.com and in the US mailboxUSA@nlpcoaching.com. Individuals suffer from lack of knowledge on how their beliefs and attitudes influence the quality of their lives. Their perception of life and career is surrounded by reasons and excuses why they cannot succeed. This is one of the reasons why personal growth coaching has become a leading new profession. Jay Conrad Levinson (Guerilla Marketing), in the article “The Amazing Growth of Coaching” mentions, “Every world champion has had a coach”. It is not a secret that professional athletes, movie stars, business managers, CEO’s, world political leaders use personal coaches to provide support, assistance and offer competent advice. One of the famous examples is Andre Agassi who had a famous personal growth coach in Tony Robbins. One of the common reasons why people want to learn NLP and why they need a personal growth coach is to achieve greater success and fulfillment in their lives. They are searching for new ways to make use of their full potential and let go of whatever blocks and limits the fulfillment of their desires. Many extremely talented individuals work long hours in a desperate attempt to “make the business work”. However, many feel unhappy with the money they make in relation to the hours they work. Personal Growth Coaching provides a pathway, through NLP, to live up to your fullest potential. This results mostly in negative emotions. People are frustrated, tired, stressed and unfortunately, this has a negative effect on their relationships and on their family life as a whole. According to Jeffrey E. Auerbach, Ph.D., MPEC in “The Value of Emotional Intelligence Coaching”, the achievement of greater success in life is due to “emotional intelligence”, which is integral to personal growth. It means that aside from mental capabilities and skills, emotional awareness and well-being makes a difference between career stagnation and achievement of goals. Emotional balance and positive emotions are directly related to the ability to be productive, resourceful, and effective. Remember the time when you first fell in love? Wasn’t the world at your feet? Didn’t you think that you could have anything you wanted? This is simply because you were filled with positive emotional power. Today you are still you, but what happened to that feeling of invincibility? 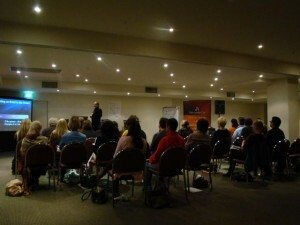 The knowledge of NLP, Time Line Therapy™ techniques, and Hypnotherapy together create a very powerful set of skills that would enable the practitioner-personal growth coach to assist the client to take action toward the realization of their goals. More so, it is important to understand that this set of techniques and skills enables the NLP coach to assist the client in taking responsibility for his/her results, to increase his/her optimistic attitude by focusing on positive internal emotional states, self-confidence, inner power, decisiveness, self-reliability and the like, using NLP, Time Line Therapy™, and Hypnosis.